Every year, more than 55,000 Americans undergo hip replacement surgery, and thousands more worldwide join the ranks of hip implant recipients. The goal: reduced hip pain, better range of movement, and a more active lifestyle, among other benefits. But the sad reality for many of these patients is that hip replacement complications are far too common, causing severe pain, reduced mobility, and the need for early – and potentially dangerous – hip revision surgery. To qualify for hip replacement, patients generally present hip problems that impede everyday activities, such as walking or bending over, or severe pain that makes sleeping, sitting and other motions nearly impossible. Hip replacement surgery may also be a good option for patients with bone degeneration, severe arthritis, or severe joint damage due to a fracture or other injury. Though hip replacement can restore mobility and eliminate pain, the procedure is not without its own risks. Slow recovery: Generally, recovery from hip replacement surgery takes several weeks. During the first few weeks, pain medication is often recommended. Physical therapy is required 2-3 times per week. Discomfort: Pain around the implant site, as well as swelling, bruising and general discomfort is common during the weeks following surgery. Joint weakness: Immediately following surgery, reduced mobility and a weak hip joint can make it difficult to climb stairs, walk, and perform other daily activities. Physical therapy will help condition the joint, and patients normally resume their regular activities within six weeks of surgery. These complications are common and expected. They are not permanent, and with physical therapy and recovery time, patients will soon enjoy a better quality of life. Unfortunately for some patients, their hip replacement complications are far more serious than a slow recovery. In fact, in a number of cases, hip replacement failure and other serious problem are so severe that they necessitate hip revision surgery. This procedure is complicated, more dangerous than the initial surgery, and requires a longer and more arduous recovery time. Loosening of the implant: Loosening of implant components is one of the most serious complications, since it is a strong indicator of whether a patient will require revision surgery. Early implant loosening can be diagnosed through a series of X-rays, taken at different times to determine component positions. Implant loosening may be linked to other issues including metallosis and bone loss. Metallosis: Metallosis is a type of heavy metal poisoning. It occurs with metal-on-metal implants, when metal components rub together, causing metal ions to enter the blood stream. Metallosis can cause tissue death (necrosis), bone deterioration, pseudo-tumors and cysts. Osteolysis: Also known as bone loss, osteolysis occurs when the body rejects an implant. The resulting autoimmune response sets off a reaction that reverberates throughout the body, causing chronic inflammation, pain and bone damage. Infection: Approximately 1 percent of hip implant recipients will experience infection. 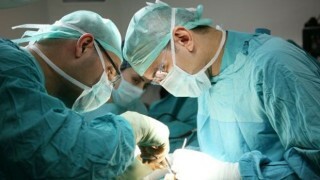 If the infection is caught quickly, doctors may be able to re-open the implant site to inject antibiotics; if this is not possible, the implant may require removal. In the most severe cases, infection can lead to amputation of the hip and leg. Hip dislocation: If a device is not properly implanted, or if the prosthesis is somehow faulty, it can cause painful dislocation. Chronic dislocation can cause hip replacement failure. Dislocation occurs in 1 to 5 percent of initial surgeries, and in up to 20 percent of hip revision surgery procedures. 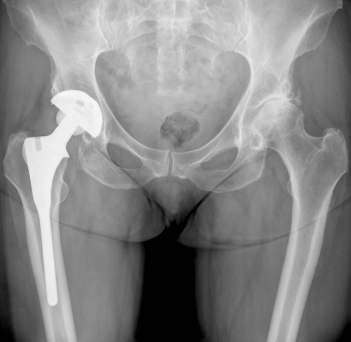 Other complications that may lead to emergency hip revision surgery include avascular necrosis (osteonecrosis), heterotopic ossification, and periprosthetic fractures. Surgery is never risk-free, but hip revision – a second, third, or fourth procedure – is even more prone to complications than the initial surgery. Any patient who is facing the possibility of hip revision surgery will have a similar reaction: fear of more pain, dread of additional recovery, and anxiety over additional complications. Recurrence of previous complications: It is possible for previous complications, like metallosis, to recur after revision surgery. Bone fracture: Some patients may experience bone fractures – either the first occurrence, or recurrence of a fracture – after corrective surgery. Myositis ossification: The risk of this condition is even higher after hip revision surgery. Myositis ossification occurs when bone grows around the hip joint, causing reduced mobility, pain and stiffness. Thrombophlebitis: Also known as deep vein thrombosis, or DVT, thrombophlebitis is a type of deep-vein blood clot that is more frequent after hip surgery. Serious danger exists if a clot dislodges and travels to the lungs, heart or brain, where it can cause a fatal pulmonary embolism, heart attack, or stroke. Though all implants are subject to hip replacement failure, certain models exhibit higher rates of complications requiring corrective surgery. Complications include bone fracture, dislocation, implant loosening, squeaky joints, noises like clicking, grinding & popping, corrosion, uneven wear, and intense pain. March 2007: the FDA issued a warning letter to Stryker Orthopaedics regarding poor safety and manufacturing practices in one of the company’s manufacturing facilities. In November 2007, the FDA issued a second warning letter, this time regarding quality control issues at the company’s New Jersey facilities. January 22, 2008: the company issued a recall for its Stryker Trident Hemispherical Cup System and Trident Acetabular Cup System, both of which had been the subject of many complaints. July 2008: Zimmer temporarily suspended sales of the Durom Cup, after patients and doctors had reported high failure rates leading to hip revision surgery. Zimmer later resumed sales of their hip replacement, denying any problems and instead issuing updated surgical instructions. Both the Durom and Acetabular Cups remain on the market. 2009: the FDA sent Johnson & Johnson, parent company of DePuy Orthopaedics, a letter detailing safety concerns for a pending hip resurfacing system. August 24, 2012: DePuy issued a hip implant recall for its ASR system due to unacceptably high failure rates. The DePuy ASR recall reportedly affected 93,000 people worldwide and 30,000 U.S. patients. Though similar issues have been linked to the Pinnacle Cup System, this DePuy model has not yet been recalled.